Do you guys remember the Cauliflower Alfredo Fettuccini recipe that I posted a few weeks ago? Ever since I made that creamy cauliflower sauce I have been dreaming of what else I wanted to use it for! If you haven’t tried it yet, RUN don’t walk to make the most delicious cauliflower alfredo sauce! 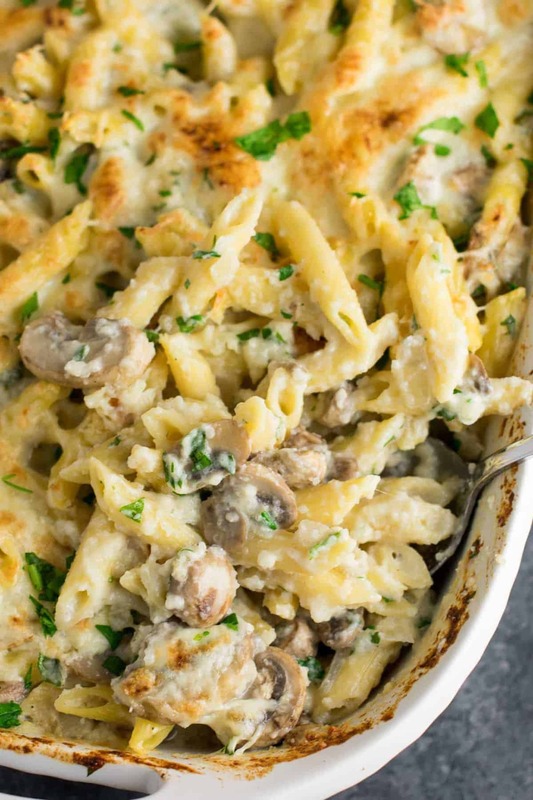 This mushroom cauliflower alfredo pasta bake was first on the list. 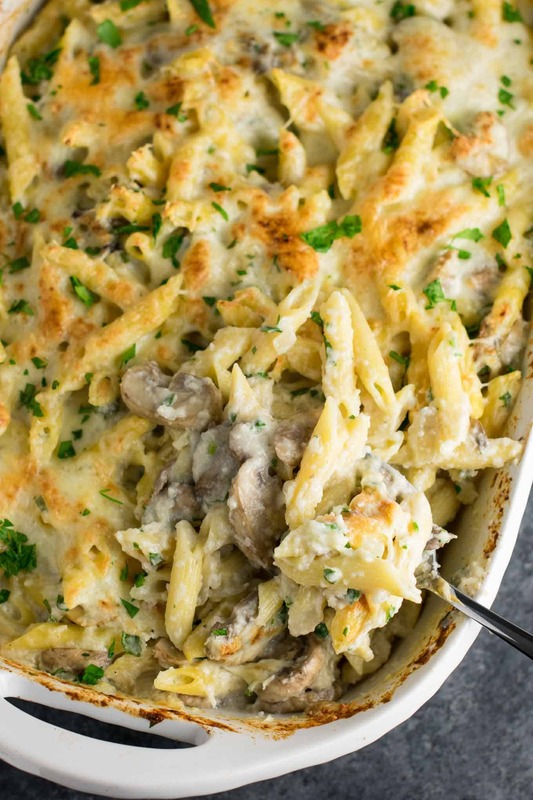 Full of juicy mushrooms, fresh garlic and onion, and drowned in creamy cauliflower sauce, it is the ultimate cozy comfort food casserole full of hidden veggies! 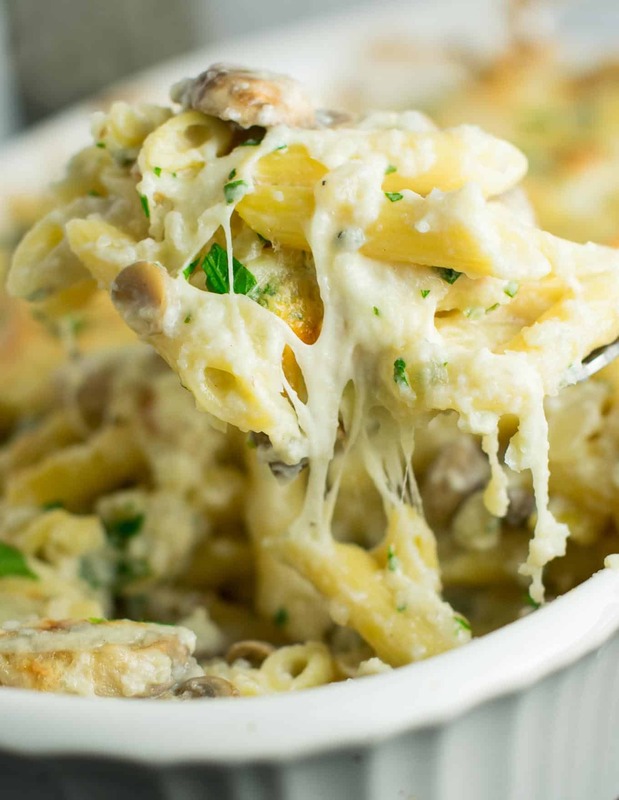 I used a blend of fresh parmesan cheese and mozzarella cheese in this recipe. I love that in place of a classic cream sauce in this recipe we are using cauliflower sauce. If you’re a cauliflower hater, please promise me you’ll try this recipe before you swear it off for good. This casserole has a WHOLE head of cauliflower in it, but tastes insanely rich and indulgent. 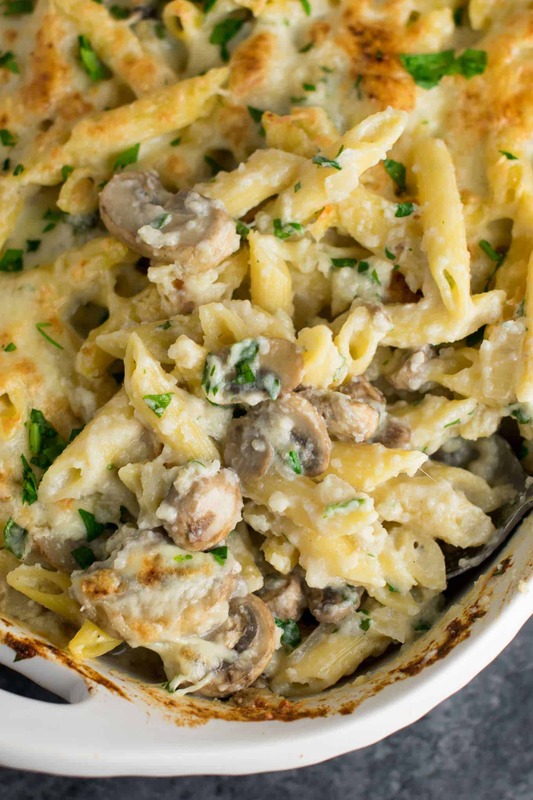 Mushrooms are one of my favorite vegetables, so it was a clear choice for this casserole. If you don’t like mushrooms (say what?!) feel free to sub in your fave veggie of choice. 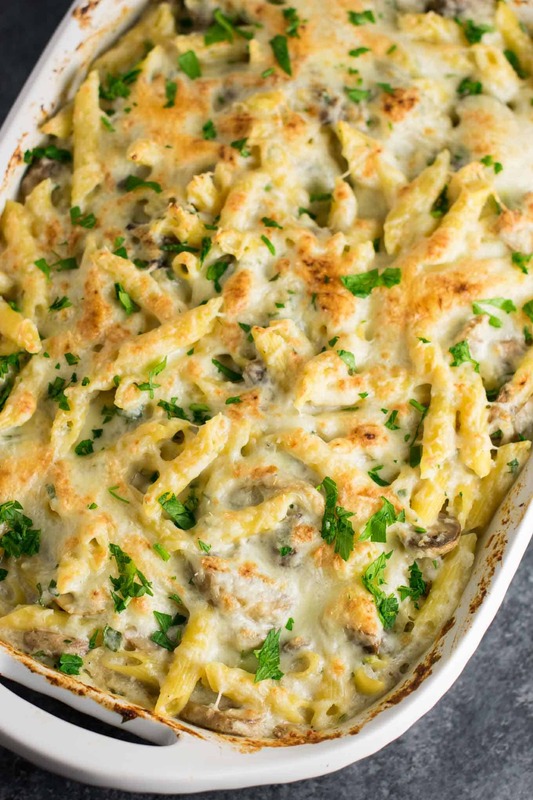 This casserole is super versatile and could be customized however you want! 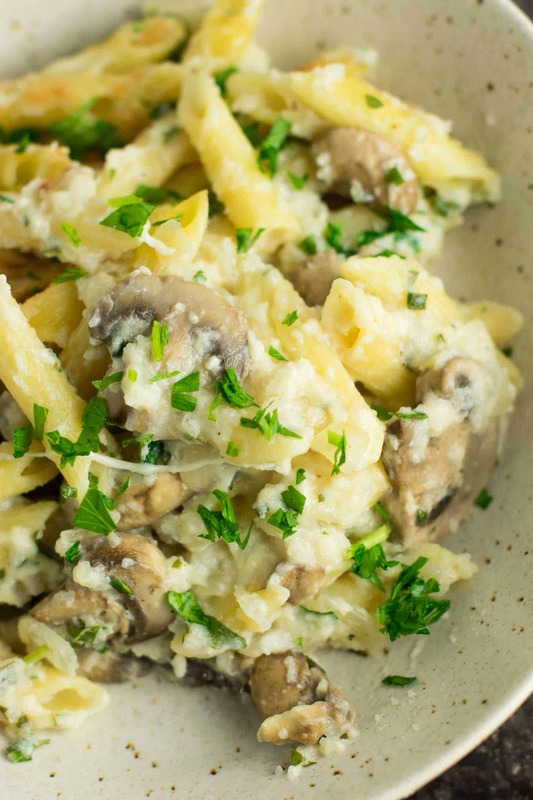 Fresh parsley is great in casseroles and pasta and adds a fresh contrast to the creaminess of this dish. The hubs and I had this two nights in a row and loved it. If you’re craving comfort food but want to sneak in some veggies, you will love this recipe! 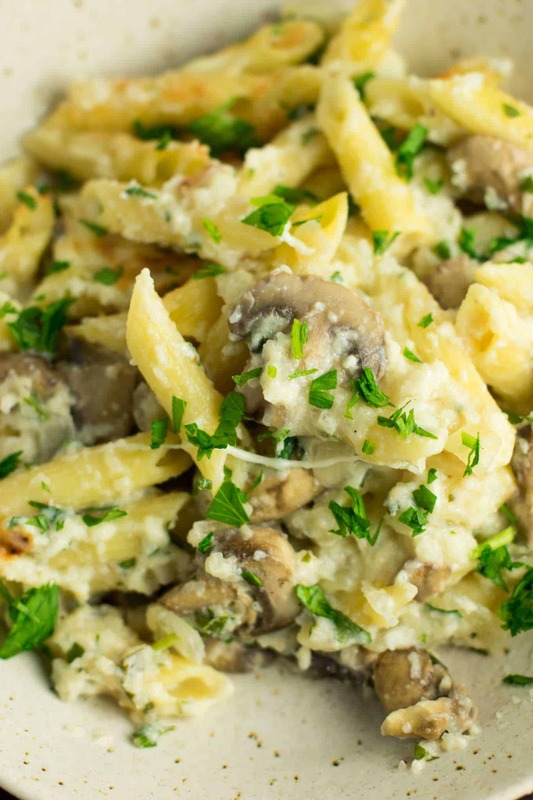 Serve with garlic bread or all by itself for your family to enjoy! 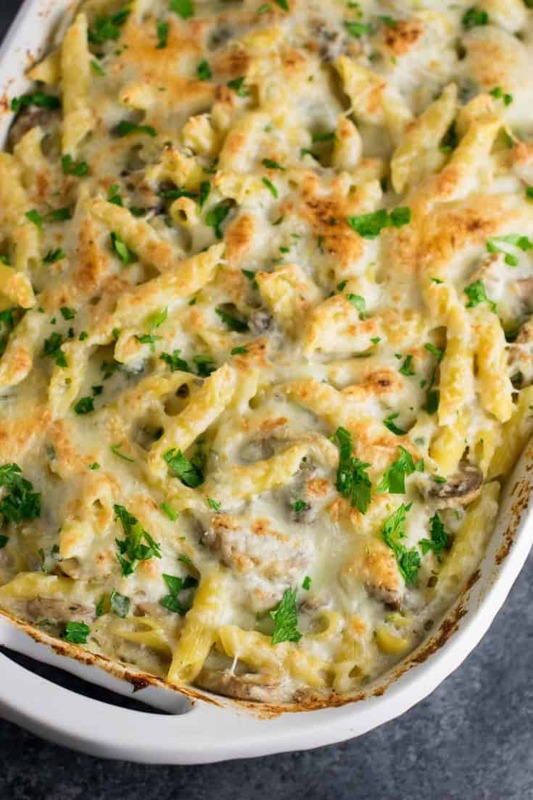 Casseroles are a great dish that both vegetarians and non vegetarians can enjoy. As a vegetarian myself I would love to have this dish as an option at any event! 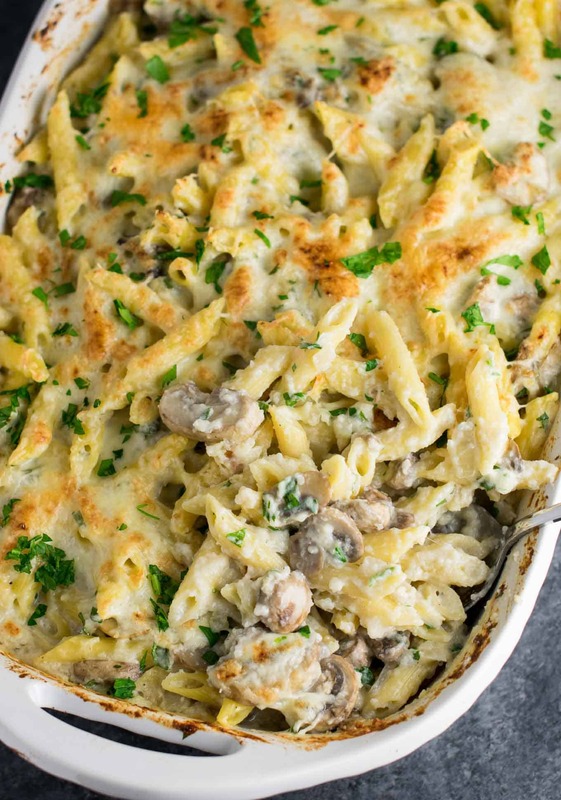 Mushroom cauliflower alfredo pasta bake recipe. 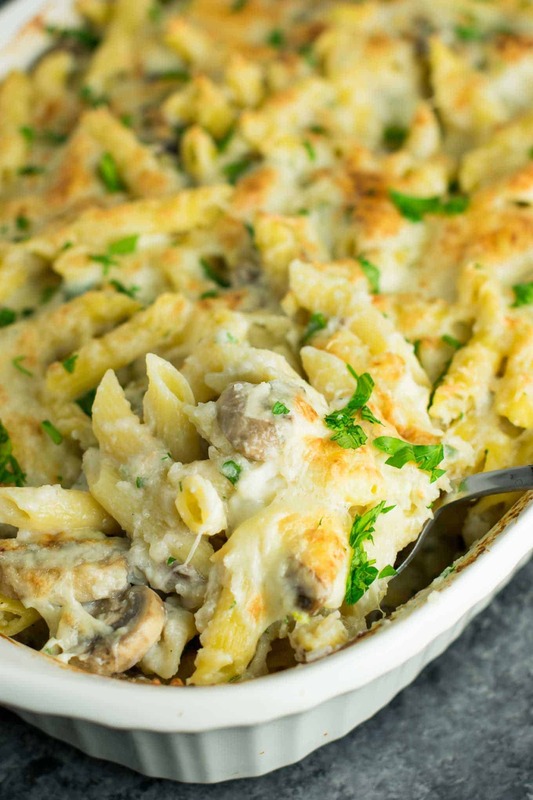 A deliciously indulgent pasta bake lightened up with a homemade creamy cauliflower sauce.